Happy Tumblr Tuesday! This week, we're diving deeper into the annals of culinary history with Food Heritage, a Tumblr blog from Food Museum cofounders Tom and Meredith Hughes that focuses on food locations that are historically significant. Entries include White House, the oldest hamburger chain in the U.S.; the original Steak 'n' Shake; and Yalumba, Australia's oldest family-owned winery. 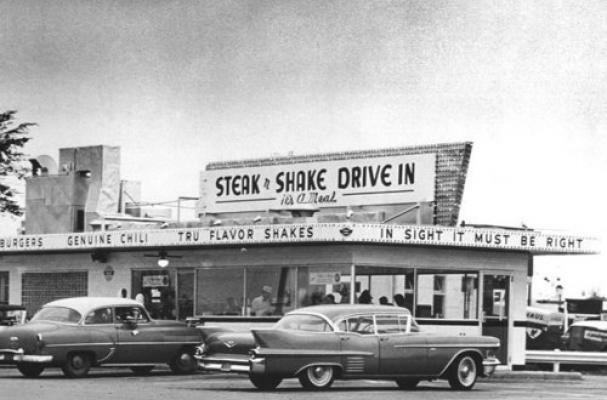 The Hughes say that Food Heritage is out to preserve food culture, writing, "As more and more cookie cutter chain restaurants served by a food supplier with all frozen preapportioned meals spread across the US and some of the rest of the world, much is being lost." Check out the blog here.